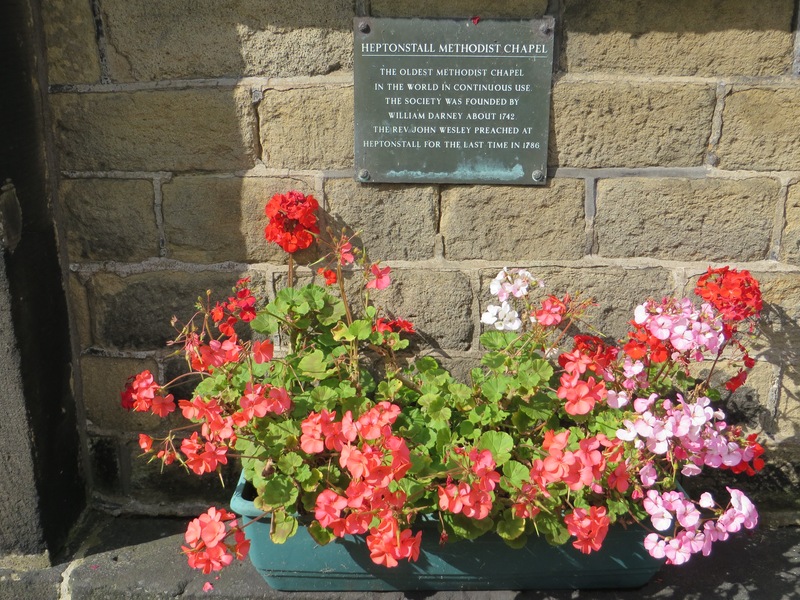 The drive into Haworth was all uphill, past Peckett Well into Oxenhope, the church of St Mary the Virgin, to our left and Bay Horse pub further up. 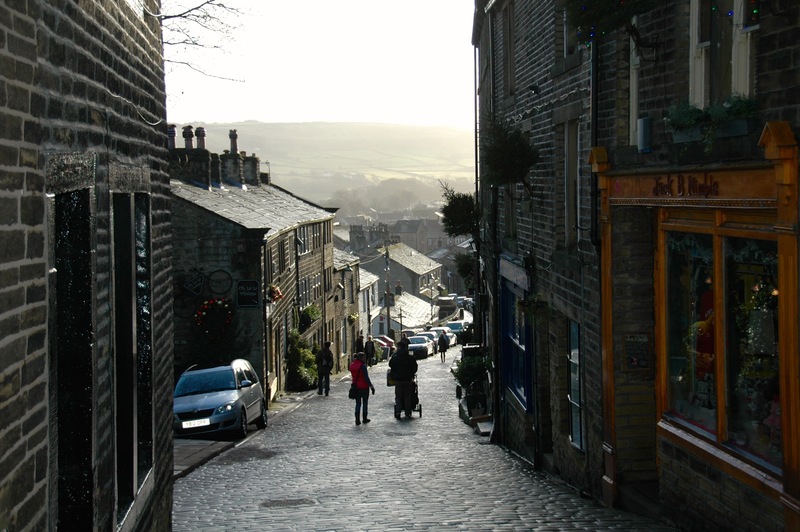 Then downhill into Haworth. We parked by the station and walked the cobbled Lower Mill Hill Farm Road and across and up into Main Street. It was an afternoon of showers and sun. Main Street was as you would expect, full of tea rooms, cafés, two bookshops, an antique shop and a variety of other twee shops. We stopped for coffee and cakes before proceeding to the Brontës’ vicarage. This is our second time. The last time we came with Toks and Charlotte. This time with Linda and Paul. You enter through the doorway into the hall and to your left is Reverend Brontë’s study and opposite to our right where the sisters did their writing. A sofa, rocking chair, two writing tables and a dining table: simplicity itself. Further down the corridor the kitchen and on the opposite side of the corridor, Charlotte’s husband’s (Arthur Bell Nicholls) room that used to be a store. 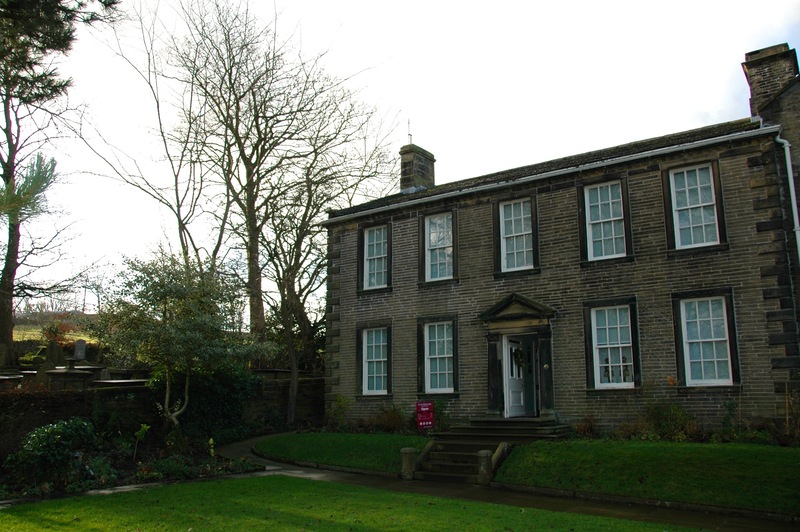 On the first floor, the bedrooms including Branwell’s studio. 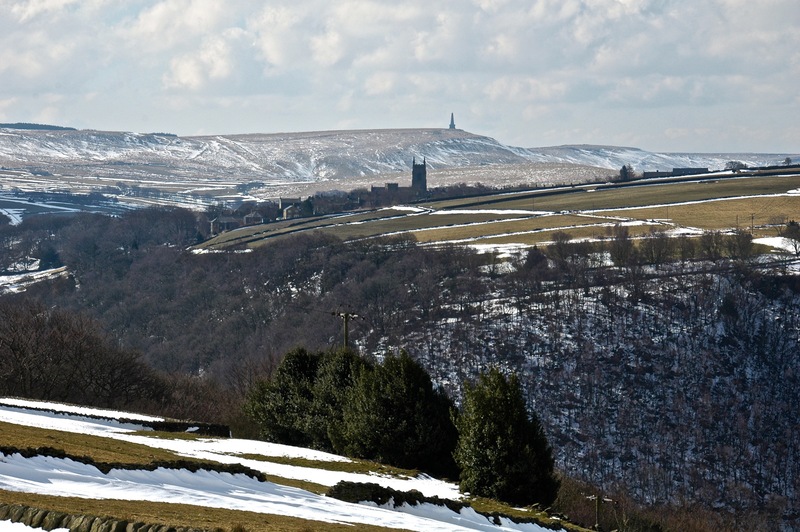 It is a truism to say that the Brontës were an exceptional family no less true for that. But, the tragedy of a father outliving his 6 children and wife without any further descendants must have been unbearable. 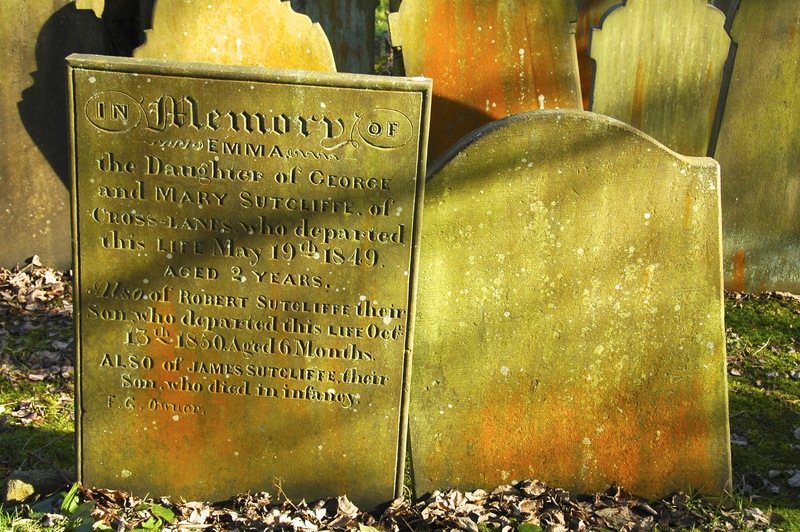 Charlotte died in early pregnancy. TB was a scourge as was cholera. 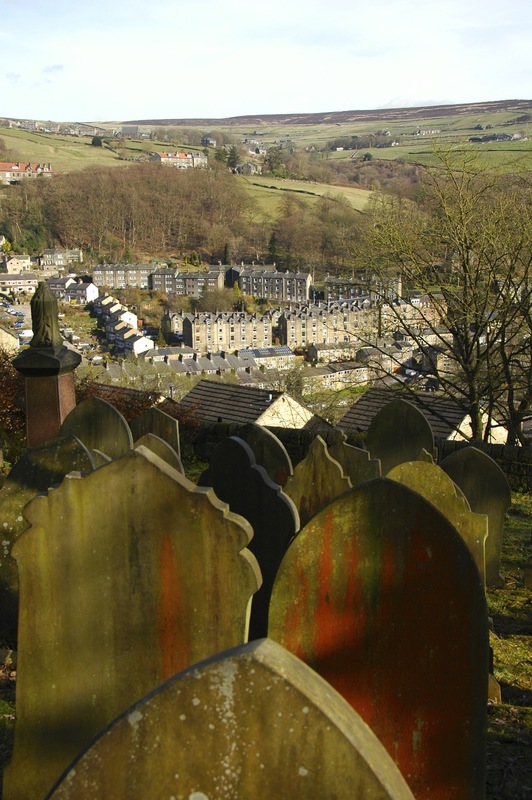 Life expectancy in Haworth was 27 years! 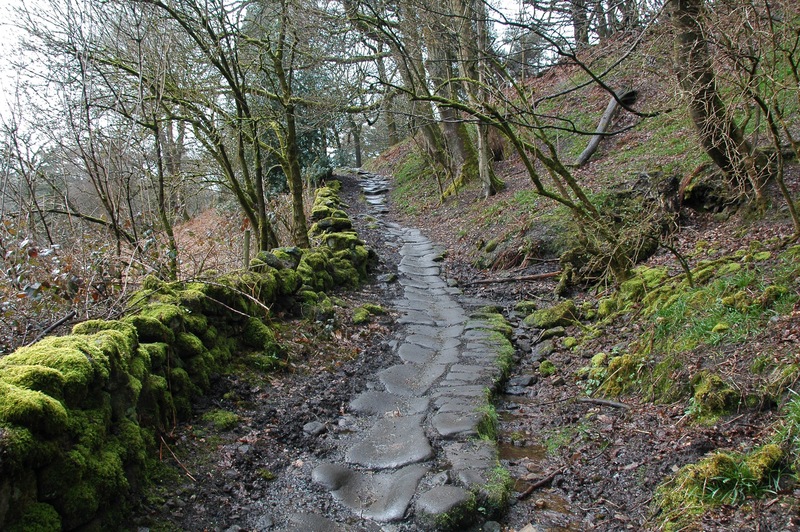 Yesterday we had walked up to Heptonstall from Midgehole, the footpath across Crimsworth Beck and then steeply uphill on a pack horse route, cobbled and still serviceable 200 years on. 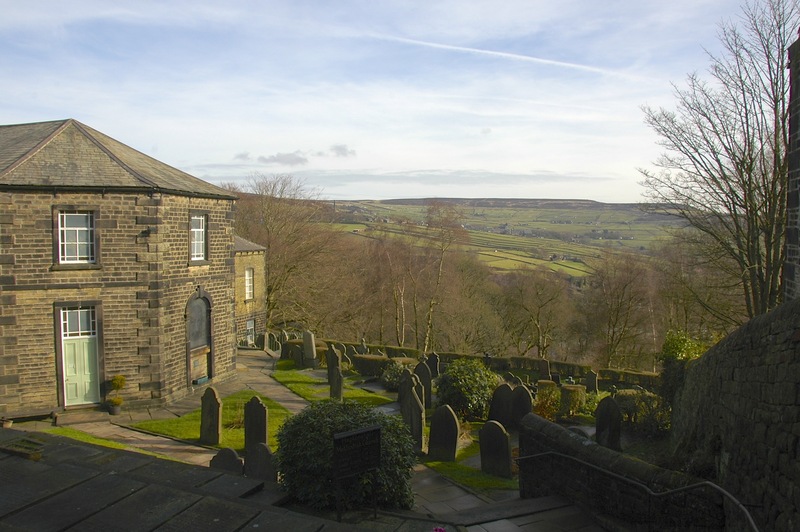 Heptonstall is perched up above Hebden Bridge, remote and cloistered up and away from sight. The Methodist Church is octagonal to ensure that the Devil would have nowhere to hide. John Wesley was a welcome preacher there. The parish church of St Thomas a Beckett & St Thomas has an overflow graveyard with Sylvia Plath’s final resting place in and amongst Greenwoods, Crabtrees, Haworths, Sutcliffes and the occasional Jones. 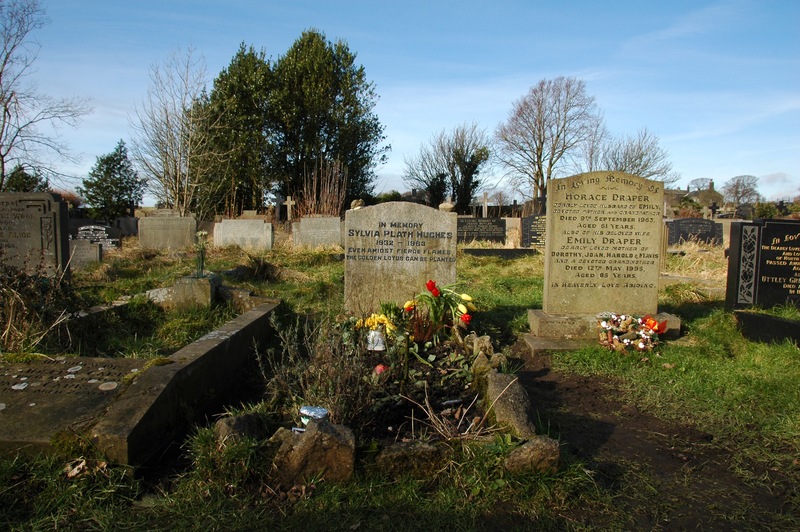 Headstones with rust or green coloured lichen, standing erect or leaning over like my father’s, or some already derelict and fallen over. Many had spaces for many more names yet but none added after the last in 1884 or later, 1891. 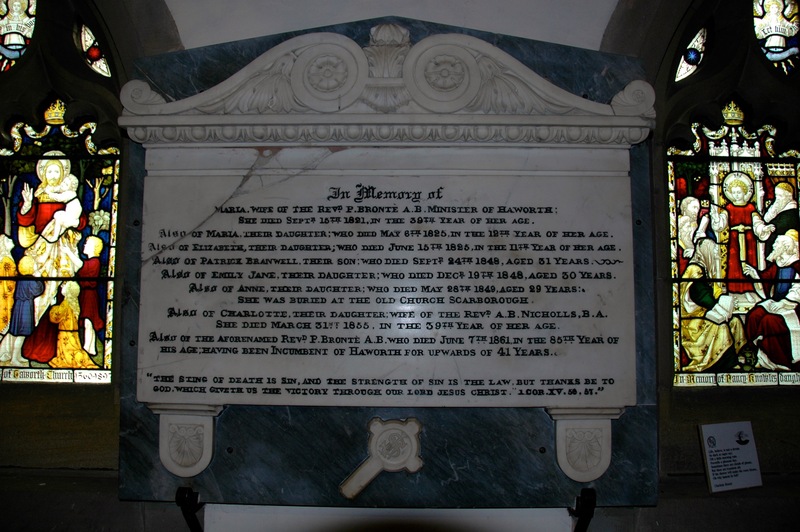 No ready explanation for the absent bloodline, surely they died but where? 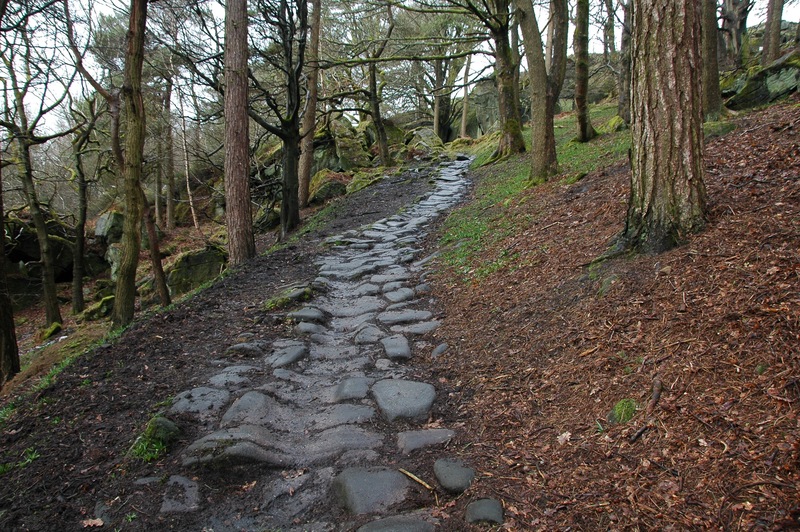 The walk back down to Hebden Bridge took us along another cobbled road, the stones worn from use. Hebden Bridge in the dying evening light had that glow of Yorkshire stone, burnished by dusk. It is exactly as it ought to look, the terraced houses against the curve and lift of the hills, like a girl’s petticoat, no a dress in layers, with lace trimmings, her head in the clouds. First a drink at the White Lion and dinner at The Olive Branch. Thank you for the photos and post. For more on John Wesley, I would like to invite you to the website for the book series, The Asbury Triptych Series. The trilogy based on the life of Francis Asbury, the young protégé of John Wesley and George Whitefield, opens with the book, Black Country. The opening novel in this three-book series details the amazing movement of Wesley and Whitefield in England and Ireland as well as its life-changing effect on a Great Britain sadly in need of transformation. Black Country also details the Wesleyan movement’s effect on the future leader of Christianity in the American colonies, Francis Asbury. The website for the book series is http://www.francisasburytriptych.com. 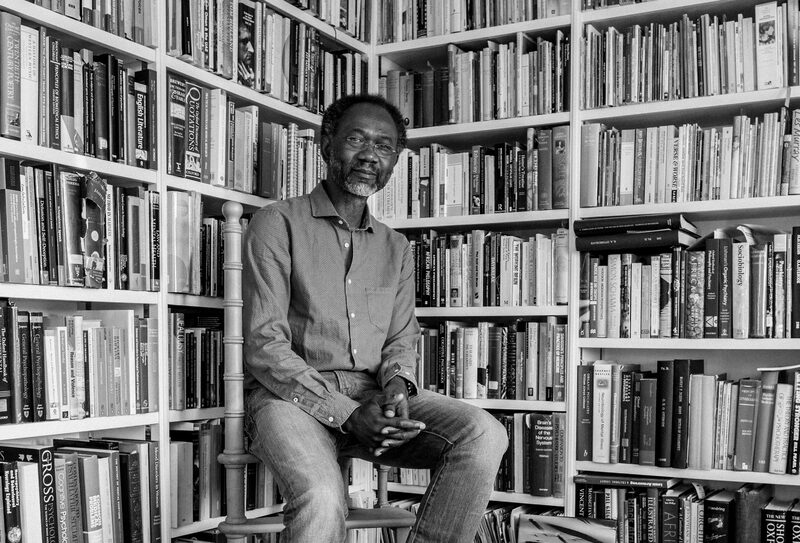 Please enjoy the numerous articles on the website. Again, thank you, for the photos and post. Thank you this. I’ll check out the website.